To be very honest, i haven’t heard much about AHA and BHA until three years ago from Paula’s Choice. It sounded fancy to me, all science and all (the one thing other then math I’m bad at). Im turning 24 at the end of this year, i still have acne that focuses on my chin due to both hormonal and digestive issues. Of course fixing my eating habits is the best way, environmental circumstances helps as well. Before i start rambling, let me talk about AHA and BHA. They both are supposed to target and clean out pores from deep inside, therefor helping to eliminate white and black heads and potentially, getting rid of acne. BHA also has natural skin calming properties, meaning for sensitive skin its also perfect. My skin has also changed to more combination from oily, a whole lot more redness and sensitivity due to me not taking care of it and of course with age, wrinkles. And although i love Clinique’s acne line, i feel there are too much alcohol in its ingredients and that it caters more to Caucasian skin in comparison to Asian skin. 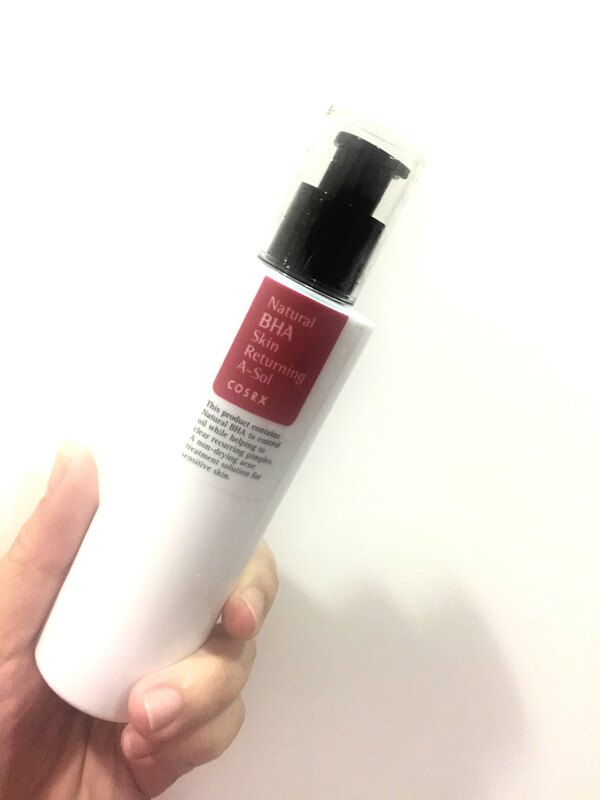 An alternative to my favourite Clinique products, i took to CosRX. Comparing to Etude House Wonder Pore Freshener which i have been using for a while, this doesn’t fare too well in terms of pore cleaning and price point. For example, Etude House’s pore toner is $19.00 for 500ML in Hermo SG while the CosRX is $15.20 for 150ML. 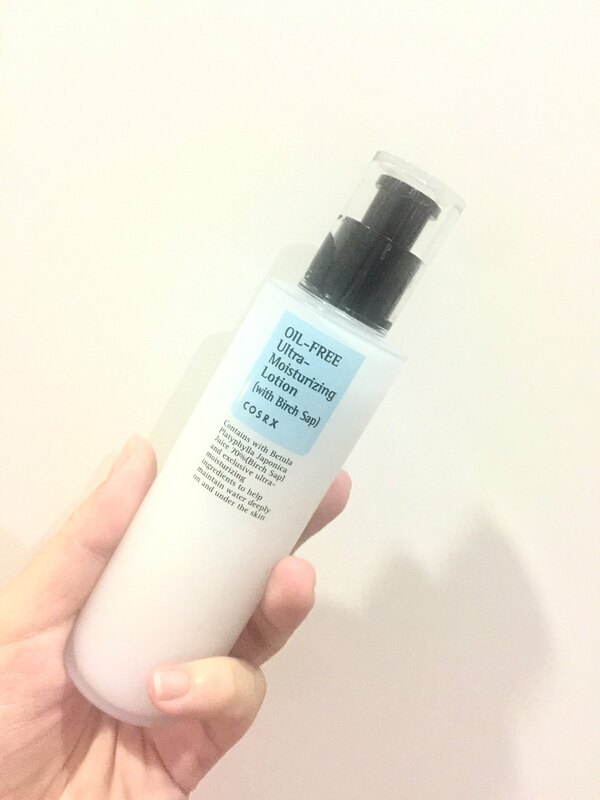 I’ve also tried this toner by using it on its own without other CosRX, and also with CosRX but it doesn’t make any noticable difference. There is a small scent of tea tree, similar to Naruko’s acne line product which works well. It doesn’t dry out the skin, therefor doesn’t cause the trouble area to dry out and flake under makeup even for living in Switzerland. 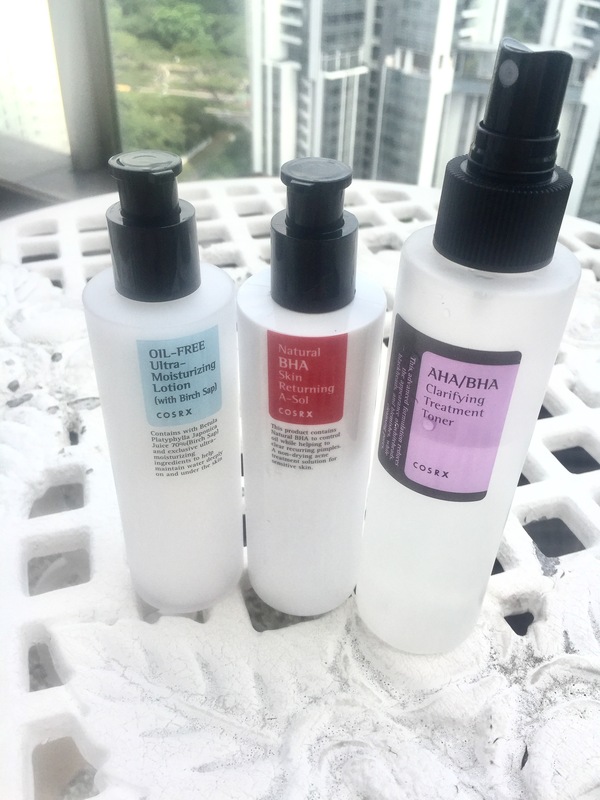 Out of all three products, this worked out the best for helping me flatten out my active acne as well as help fading out scars. 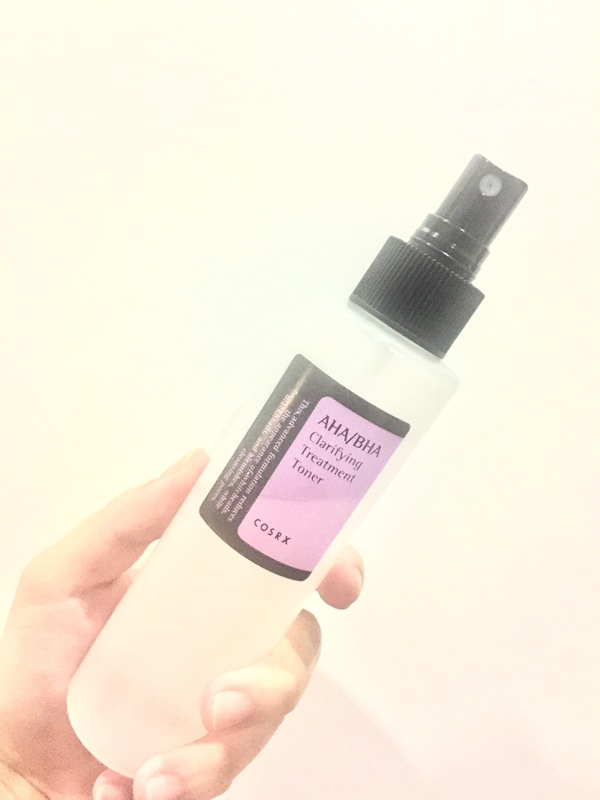 It has a watery consistency, which reminded me of a toner instead of a serum type of product. I’ve seen some people use this as toner or as a first serum. As seen in the ingredients’ list when i was online researching, it is definitely not oil free. For a lotion, it is moisturising enough for combo skin in humid weathers. But for dehydrated skin in during hot humid weather it might not be enough. There is a slight lemony smell that isn’t too over powering and goes away almost immediately. This hasn’t irritated my skin so far, but i’ll just have to keep using it for a longer period to see how i feel about this moisturiser. In general, I’m pretty satisfied but my only problem with CosRX is its almost non existent of physical availability in many countries. Etude House and Clinique has stores in South East Asia, CosRX has no physical store therefor having to get them online. CosRX is well known for its natural and simple ingredients which I appreciate because of my sensitive skin. There are many more CosRX products i am willing to try, like its acne targeted facial cleansers. By my last post How i managed to save up 50%, I mentioned on how i made use of discounts and cash back systems. Since i moved back to Singapore and Indonesia, cash back systems are more readily available then Switzerland. Here, i have referral code from Hermo Singapore that you can use to earn $15 voucher on top of their discounted Cosrx products, also you can use Shopback Singapore to get 3.5% cash back on your purchases.